“We are the European People’s Party because we continue to represent the heritage of one-time German Chancellor Helmut Kohl,” government spokesman Zoltán Kovács said in an interview published in Thursday’s Magyar Hírlap. “It is certain that power relations will change in the European Parliament after the EP elections next May,” he said. 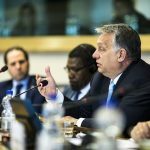 Despite some differences in opinion, he said Hungary’s ruling parties support Manfred Weber for the post of lead candidate for heading the European Commission. It is possible to engage in “sensible and meaningful debates” with Weber, unlike with Alexander Stubb, who belongs to the EPP liberal wing, he added. 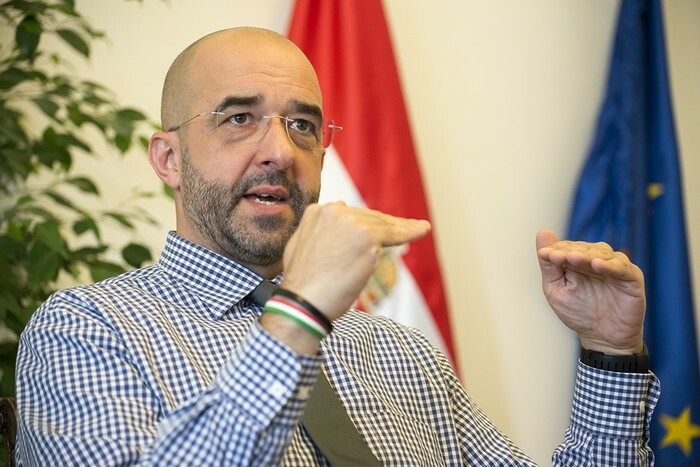 In response to a question concerning a possible future compromise by the Hungarian government regarding the Sargentini report, which Weber supported in an EP vote, he said such a move “would go against common sense” because Hungary is right about its aims, and order needs to be part and parcel of a democracy, too. Kovács declined to speculate on whether Fidesz would still be an EPP member next year at this time. He said Fidesz pursued a Christian democratic and conservative ideology and the Fidesz KDNP alliance was among the political parties in the EPP which got the most support in their home country in the past two EP elections. Commenting on the issue of the Central European University (CEU), the spokesman said statements that the university might take the issuance of diplomas to another country were political bluffs. Kovács expressed the conviction that the “Soros university” will continue to operate in Budapest. Hungary needs every university that helps young Hungarians acquire competitive knowledge but the same rules apply to all and the Hungarian state only gets involved in education to the extent like any other state.